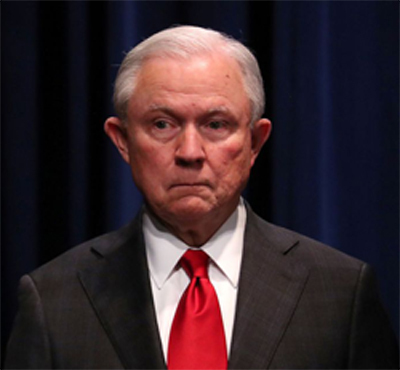 One issue is whether Trump may name a replacement for Sessions using the Vacancies Reform Act instead of the more specific DOJ succession statute? It may be an open question, according to this 2017 article by John Blies at Lawfare. Blies updated his article at LawFare today and continues to say it’s an open question. Last night, former Acting Solicitor General of the U.S. and law professor Neal Kaytal pointed to this concurring opinion of Clarence Thomas three years ago (at p. 25) to argue Whittaker’s appointment is unconstitutional. Neal Kaytal and George Conway (the husband Trump’s adviser KAC) explain further today in an op-ed in the New York Times. Based on Clarence Thomas’ concurring opinion, they argue that Trump’s appointment of Whittaker is unconstitutional because it violates the Constitution’s Appointments Clause. Prominent ethics lawyer Stephen Gillers says Whittaker should recuse himself. This all seems like a very academic exercise to me, since Whittaker is already on the job. It would take months for any legal challenge to Whittaker’s appointment to make its way through the courts, during which time Whittaker could wreak havoc with Mueller’s investigation. The main question I have is: What was so urgent that the Sessions “resignation” had to be yesterday. Considering how Whitaker stepped on his boss (Sessions) to get his job, which is not a very loyal act, and Whitaker’s repeated punditry demeaning to the Mueller investigation while echoing the positions of Donald Trump and Don Jr. all over cable TV, I suspect the answer is yes, Whitaker would do that. He could care less what Congress has to say about it. Keep in mind every grand jury indictment is filed under seal until at least one defendant in the case makes a first appearance, so the fact that a case is sealed does not mean it’s related to Mueller’s investigation. It could be a run of the mill drug, gun or fraud crime. Then again, any one of them could be a Mueller indictment. ← Previous Previous post: “Kavanaughed”: Who Will Agree to Run for Public Office After This Charade?